Meet the conference series that equips people to build better communities together. As a modern agency in an often challenging climate, we wanted to bring something new to our local community. Something that would provoke new thought and catalyze real change. When we began tossing around the idea of hosting a conference, we took a hard look at how to do that better than the status quo. Here in Baton Rouge we noticed two issues holding our creative community back: first, so much great talent that’s grown and educated in Louisiana leaves for other, more attractive markets; and second, the creative talent that does stay around remains insular and networks in isolation of other booming industries. 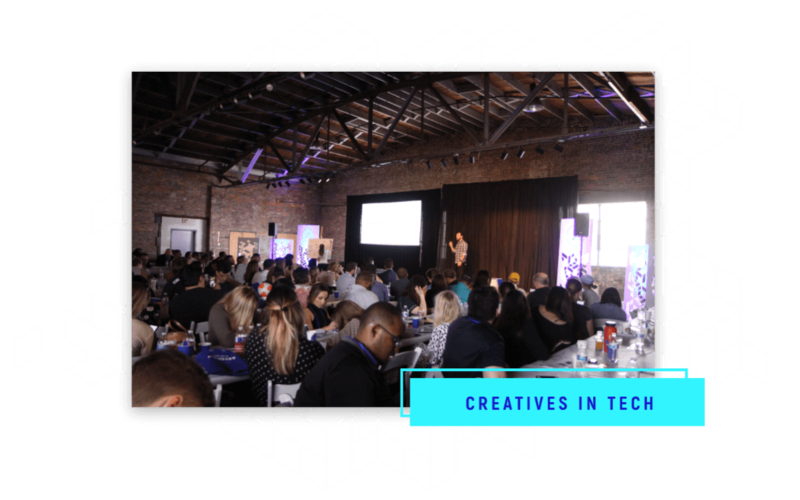 Conferences that do currently exist for creatives are most often big annual affairs that give attendees a temporary high but do little by way of follow-through. Empower attendees with inspiration and pragmatic advice to do great things in their communities. 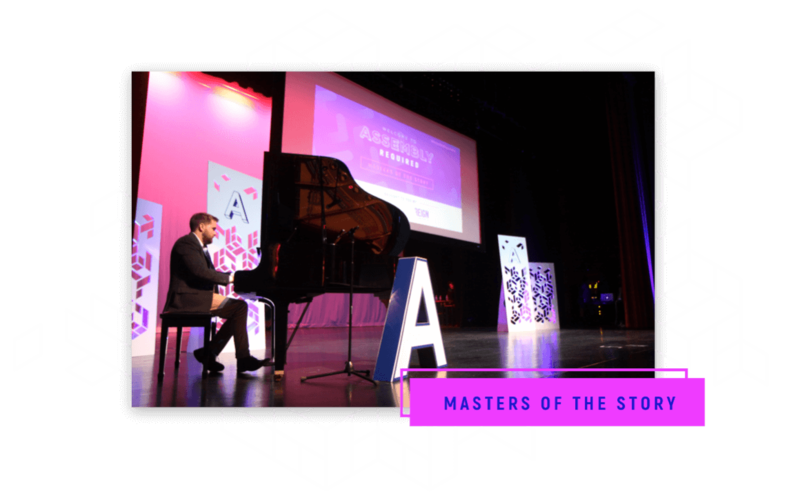 Assembly Required was a quarterly conference series that brings attendees a new experience and new conversations every three months. 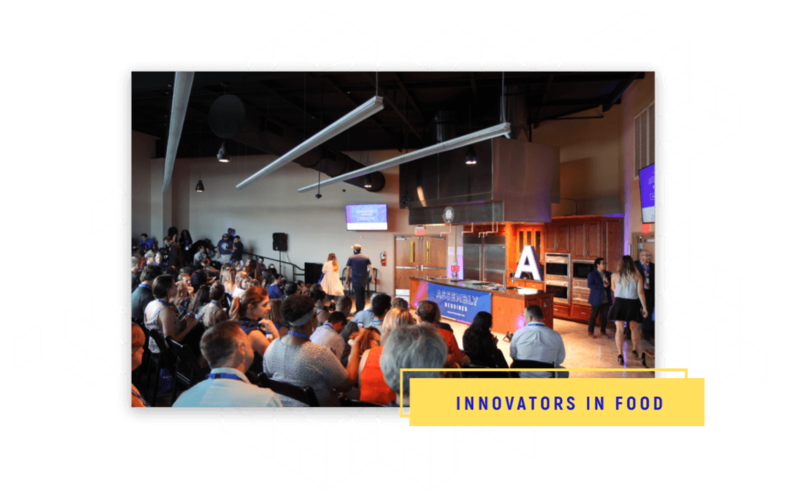 Each event invited hundreds of attendees to experience an unconventional venue, discuss a new theme, taste local chefs’ work, and interact with national speakers, entrepreneurs, and business leaders in an intimate setting. After the initial 4-part series, we launched the spin-off Some Assembly Required, which brings all of the best aspects of the quarterly Assembly to smaller groups in intimate bi-monthly gatherings held at the new ThreeSixtyEight office. Tasked with creating a visual identity to launch the series, our design team created a system that stood as a cohesive brand through four unique event experiences, executed across environment, staging, print collateral, merch, digital advertising and marketing assets, video, and more. 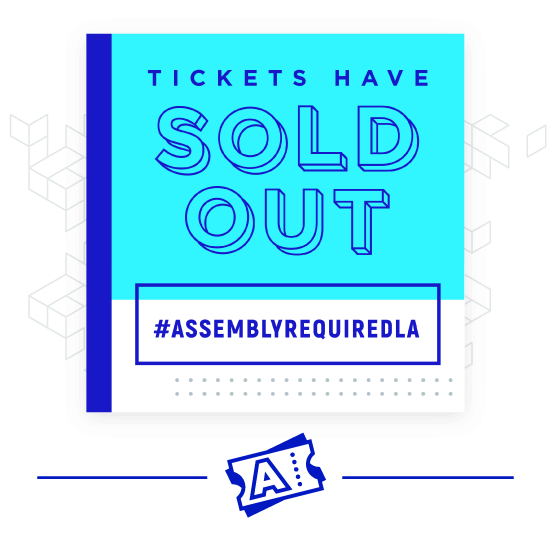 Assembly Required is a speaker series with a twist – we set out to find top-notch professionals that would offer our guests unique insights and pragmatic advice. We didn’t search out career speakers. Instead, we coached real pros, the kind who get their hands dirty in their work, to give their best performance, designed slides to drive home their keynote, and produced a show flow that engaged every member of the audience. 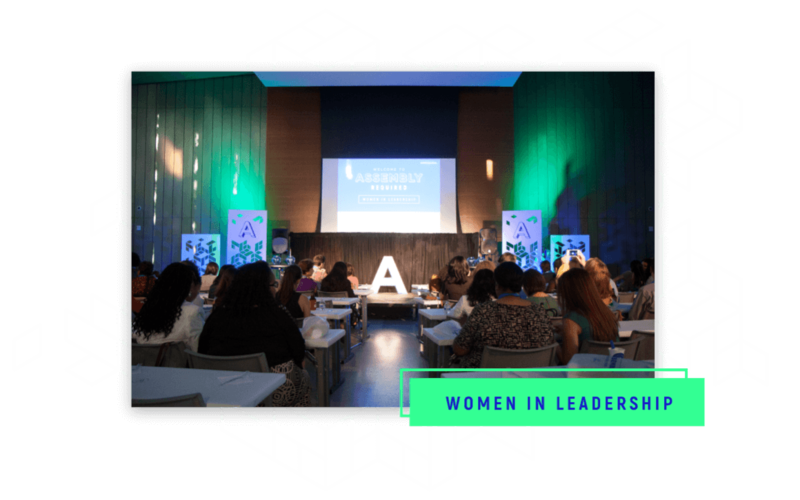 Nearly one year after speaking at Women in Leadership, we watched in awe as Dima Ghawi’s keynote was picked up from our website by Goalcast and shared across the world on Facebook. Dima’s message about shattering your limitations has now been viewed by over 39 million people and shared more than 78k times. You can watch Dima’s complete talk, along with all of our other speakers, on the AR website. We sought a mutually beneficial experience for our sponsors and attendees through authentic integrations of their brands within our events. 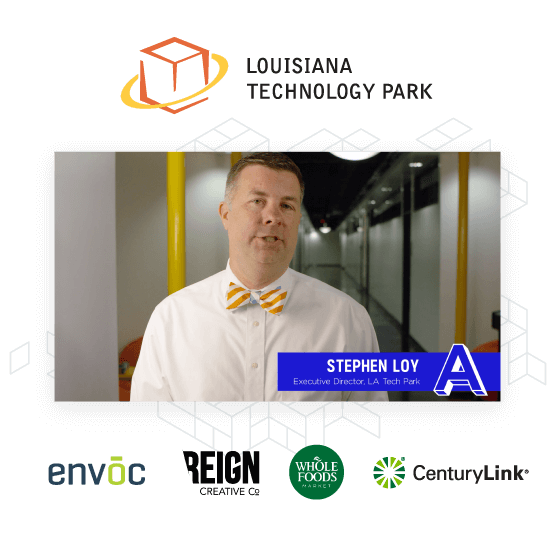 Our sponsors enjoyed perks like direct access to our attendees during networking times, a platform for product samples and brand announcements, and shoutouts during the show through video production and integration into our slide design. In planning each event, we put intentional focus on all the extras that turn your typical speaker conference into unique event experiences. 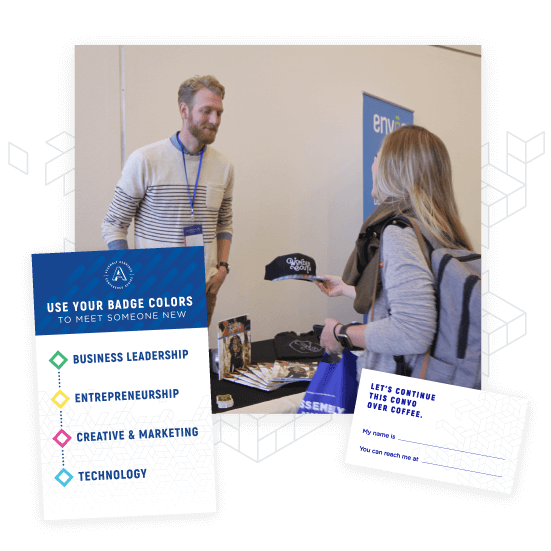 Some notable additions were free coffee vouchers for meeting with new connections at local coffee shops after the event, local food and business showcases before each event, guided conversation prompts, and the Dear World storytelling workshop. Perhaps our most impactful experience was the opportunity for about 40 VIPs to have lunch with the speaker of their choice (early bird tickets are #worthit). 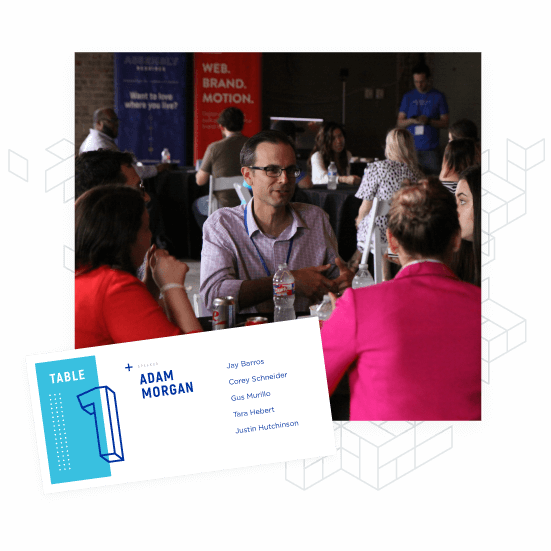 We were excited to see local attendees connecting with industry leaders, start-up founders, CEOs, and visionaries for genuine conversation and great advice. The VIP lunch was heavily mentioned as a highlight throughout post-event feedback. Through a synchrony of content creation, social media promotion, digital advertising, video production, and good old-fashioned outreach, our marketing team spread the word beyond our existing brand following to capture new fans and secure varied attendee rosters for each of our 4 sold-out events. 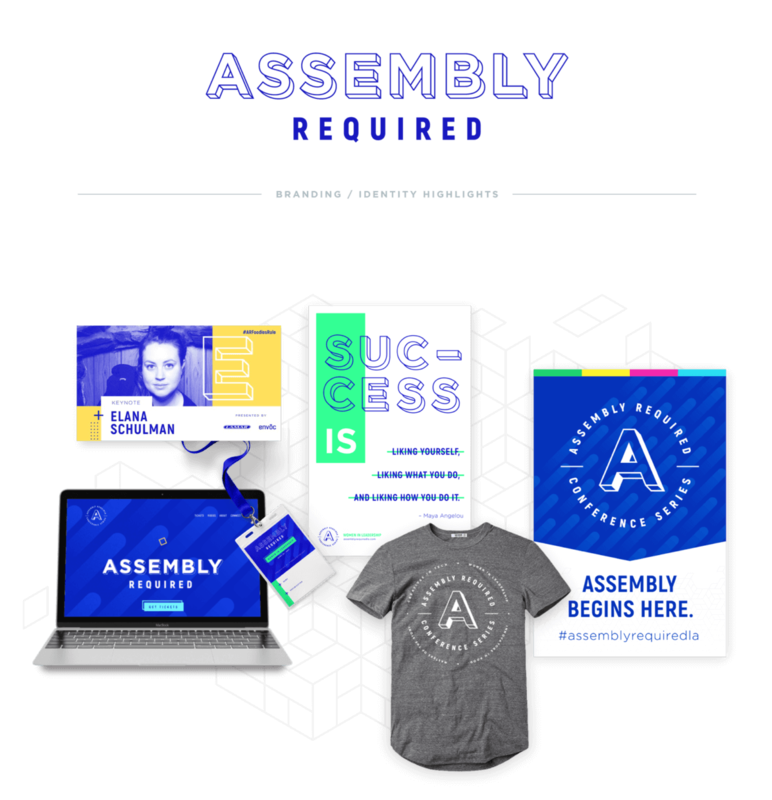 The Assembly Required website saw 7.5k unique visitors over the year, and the Facebook account reached up to 1.7k people in a single day.